Jaime Hayon has designed the FAVN sofa for the Danish furniture manufacturer Fritz Hansen. 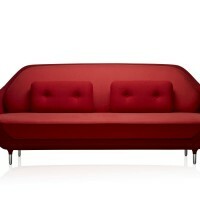 FAVN; the Danish name for embrace, is a new sofa designed by Jaime Hayon for Fritz Hansen. 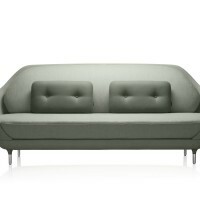 The new sofa is the result of a creative dialogue and will be launched during the Salone Internazionale del Mobile 2011 at Republic of Fritz Hansen’s showroom in Milan. 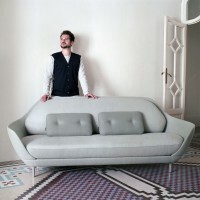 “I wanted the sofa to be based on a shell. A shell being hard on the outside, soft and welcoming on the inside.” Says Jaime Hayón. “I wanted to create a form that embraces you, something really organic – that’s why we named it FAVN.” Hayón continues. Recognized by his fresh, colourful and extrovert design style, the award winning artist-designer is the most recent addition to Fritz Hansen’s family tree of designers. Hayón carries forward Fritz Hansen’s long tradition of working with some of the world’s most talented architect and designers. “FAVN is an evolution of Fritz Hansen’s design language that brings together the qualities of Spanish and Danish design”. Says Jaime Hayón. “FAVN is picking up from the long tradition of Arne Jacobsen in the sense that I wanted to create a form that was based on a shell, like the Egg™ and the Swan™ which looks equally beautiful from all angles.” Hayón continues. 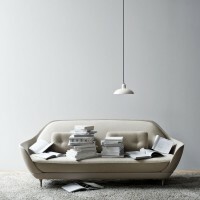 FAVN is the result of an experimental dialogue and presents an honest interpretation of Fritz Hansen’s design values. It represents a true reflection of Fritz Hansen’s ambition to achieve sustainable quality in crafting timeless design. 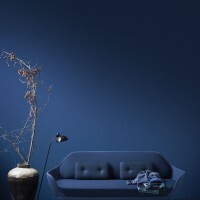 The new sofa is presented in ten unique Designer Selections; light grey, sage green, clear beige, taupe, chocolate, moutarde, red, violet, dark blue and black. It includes a mix of three fabrics to express the form of its three main components; the shell, seat and back and decorative cushions. The combination of texture and tone is appealing to the visual and emotional senses. FAVN will be launched at Republic of Fritz Hansen’s showroom in Milan on Corso Garibaldi, 77 during the Salone Internazionale del Mobile 2011. The new sofa will be available to purchase from Republic of Fritz Hansen stores and selected authorized Republic of Fritz Hansen dealers from around the world as of September 2011. 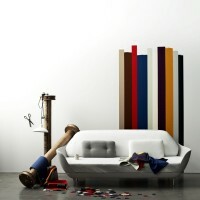 Visit the Fritz Hansen website – here.